If you’re looking at flying into a festival, backline companies will often have Marshall or Orange amps. 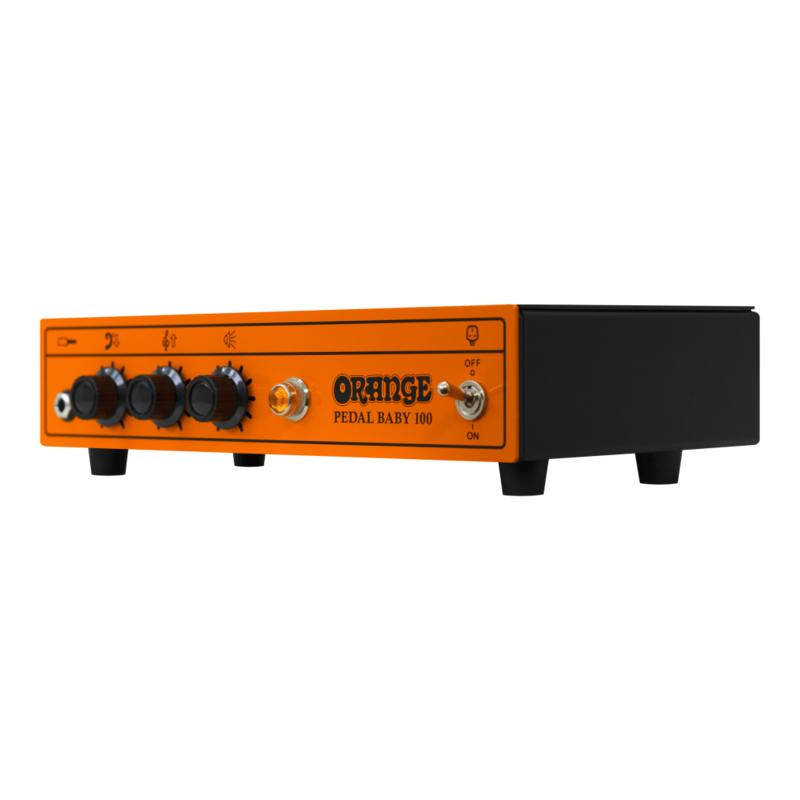 Around 80% of them will be 16 Ohms, so with the Pedal Baby, you can turn up with it and some pedals, a guitar, and you can place this on top of the cabs already on stage and have at least 70 Watts out of it clean – so you can easily do a gig with this. If you have all your sounds dialed in on your pedal board geared up for flying rigs then is is perfect for that too. You can use this in any gigging situation, anything from small clubs to festivals. 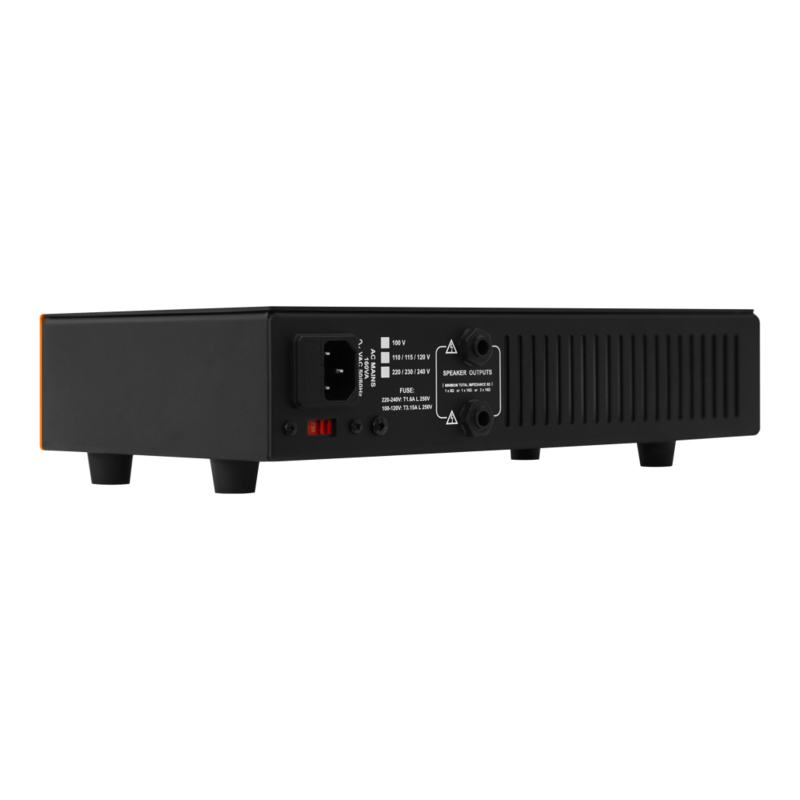 The front end is Class A and the power amp is Class AB so it’s got a good quality, natural sound and it represents accurately what you put into it. 100 Watts of power into 8 Ohms. 70 Watts of power into 16 Ohms. 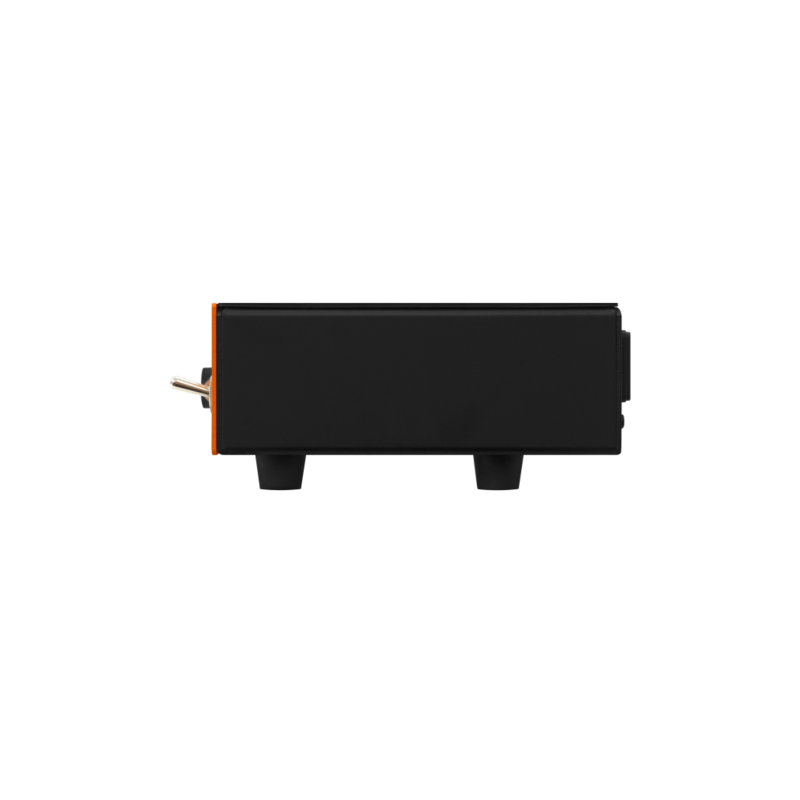 If you’re looking for an ultra clean and linear power source to power your pedal board or modeler, definetely check out the Pedal Baby 100, it’s incredibly loud! 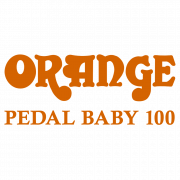 Pedal Baby 100 from Orange Amplification is the fly in solution for touring musicians needing a lightweight, compact power amp that can drive a 16ohm cabinet with enough headroom to amplify their pedal board or effects processor for those upcoming summer festival dates. It’s clean, it’s light, and it’s everything but a barrier to your tone.